Big doesn’t have to be better – out of bed. Bet365 don’t put bread on my table. Truthfully they’ve eroded margin with their volume approach to such an extent, the other supergiants are clubbing together to survive their onslaught. Even selling their shops at firesale value.. So you’ll understand, as a small operator in comparison to 365, their policies, and those of my on course colleagues with their stupid myopic focus on betting exchanges, that my margin as a business has never been lower. If you went by social networking – or took the view of the well intentioned and purposeful ‘punters forum’ – you’d believe the whole world cannot get a bet. Ask punters who is getting restricted – chances are only the restricted bother to respond. That’s not to say the discussion isn’t worthwhile- it’s just the proportion is deeply flawed. Of course, restrictions are not true to the extent portrayed. Most of my punters enjoyed a proper bet and are never restricted. You don’t need gimmicky outfits like Black Type if you’re not trading away, however you do it. I’m not alone in offering top value alternatives, because I know I have done. Richard Power, Star and Fitzdares all lay a fair bet – but we don’t get any copy because we don’t fund the newspapers or TV networks. Understandable, but not exactly balanced. Why aren’t you betting with us? Because we don’t understand ‘free bet’ concepts. Hmmmm? You’re all about a freebie if you’re betting with Paddy. Is the issue of restrictions on the increase? Of course it is. Looking at personal views provided by over 600 of my customers recently i’d say 5% of them talked about the issue of restrictions. It is on the increase. However, it’s interesting such comments were often allied to an honest acceptance many bet if the odds are as good as top of the market, and only if they are. Punters therefore accept they wager with firms based on odds, and are far less loyal than in the days of telephone betting and pre internet. Large concerns don’t help matters – Coral are perhaps the fairest in shops with a guarantee commensurate with their size. 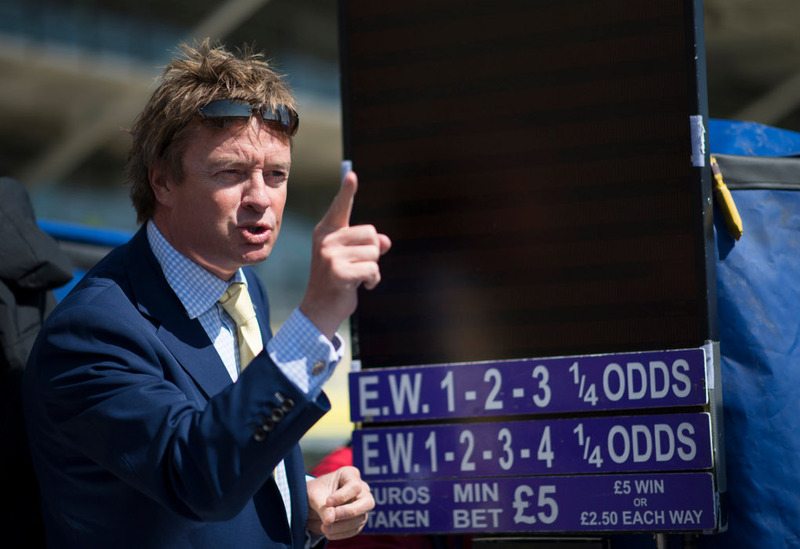 However most firms offers are indeed restricted, as are morning price specials aimed at racing TV networks and so forth Yet you sign up in your thousands for this service. Why should Denise give a fig what you say if you sign on the dotted line? Look at the Racing Post, Oddschecker, Bestbetting and more- all sites funded by the failing big betting giants. They’re not clubbing together because they’re doing too well. Pull up a race and these websites tell you who to wager with. You can make the bookmaker overbroke. and some of the bettors do exactly that. Look at 365 on a Saturday. They price check every firm. That’s untennable. They give you a bonus for depositing, a bonus for winning, refunds on occasion when you lose. Finally they offer best odds guarantee, the daftest, dumbest, most mind numbing creation ever to hit bookmaking. They’ve removed the gamble of early price taking, err what why? what on earth were you thinking? Fine, so big betting has lost its head. They’re guaranteed to lose at every major racing festival, they’re sacking staff, closing shops. Then their chairman whine about it after, you have to laugh at their incompetence in trying to beat 365 at their own game. 100% bookmaker issue. Of course morning prices, or worse the overnight odds, are a problem child for bookmakers. Most recreational punters bet ten minutes before races. Early odds are largely the domain of professionals in various guises, form judges, arbers and traders are the biggest customers. They call themselves ‘value seekers’ – an interesting term for those actually running a little business off of the low margin racing product. oops rumbled..
ps. The BHA think 10% Levy rates will save Racing. Ho Ho Ho. 10% of zero is zero if my calculations are correct? Get your slide rulers out. Punters – You, yes you. Restricted – or not – you’ve never had it so good, tell yourself that. I’ve never seen so many tin pot offers. A horse doesn’t break from the stalls and big firm reps phone Attheraces for a namecheck. Evens each of two in a rugby game? Best odds? What’s your complaint here? Suppose you stop using the Racing Post betting website? -highlighting only the top odds and major betting only, abandon oddschecker, ditch line tracking software, turn Ray Winstone off, bet with a UK bookmaker who ‘lays bets’ at sustainable odds, turn away from betting behomoths and volume operators, give bonus chasing the swerve along with ten pound offers and free bet chasing, trading or arbing. You could repent altogether..you can still be saved! Hallelujah, praise Jesus and 5 places..sorry I meant 4. Try enforcing a minimum margin requirements on betting companies to bet on horse racing, in order to receive pictures and data- you’ll find you yield a great deal more. If Bet365 won’t comply – no product. What’s your loss – the 3 or 4 million I guess you shamefully accepted from them per annum? Previous Previous post: Just answer the question..
Next Next post: That Approved Betting Partner thingy explained..